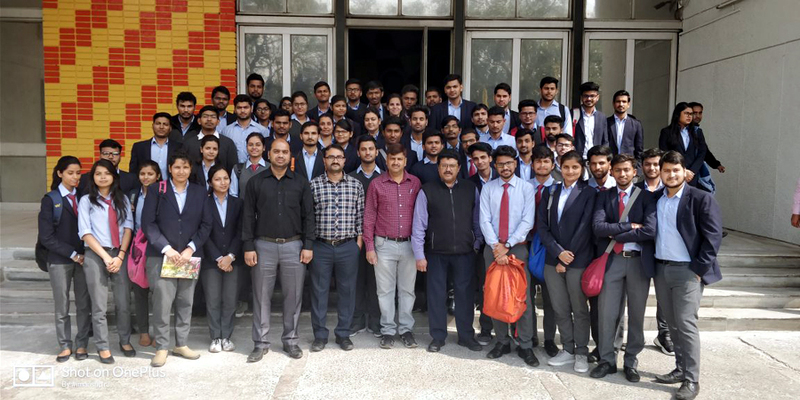 A batch of GL Bajaj Institute of technology and management(EC department) and two coordinators Mr Mohan singh (Department of EC) and Mr Ashish Tiwari (Department of EC) visited ALTTC Ghaziabad on 22 feb 2018. 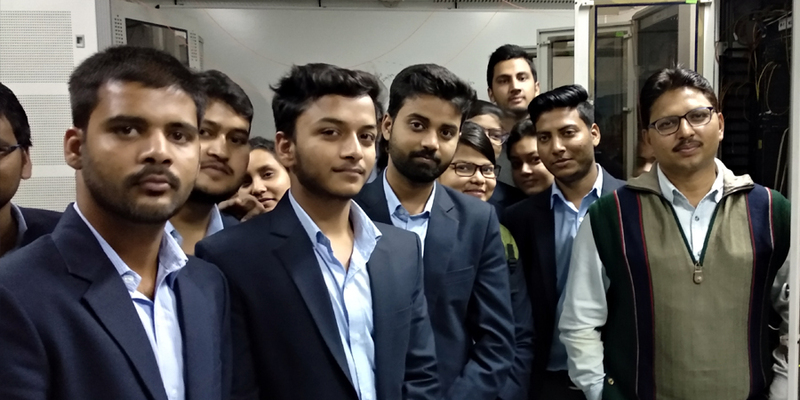 Mr. Abhishek Gupta,Senior Division Engineer, Addressed the students and introduced about ALTTC . He explained the basic fundamentals and also the rules and regulations to be followed .He explained the different steps to be employed for the safety unit. He also warned the students how to reach a safe assembly point if any accident happens in the unit. One SDH comprises of 32 voice channel each having a bit rate 64kbps and gives and output of 32 MBPS PCM .Now 63 such SDH output are multiplexed by STM( 30*32= 1890 channels) .The STM 16 multiplexes (16*1890 channels= 30,000 voice channels ). 10,000 voice channels are available for Telecom . STM 16 produces a packet size of 2.5 gbps such a huge data cannot be transmitted using copper wires so there STM uses optical transmission. It has input as electrical signal and output as optical signal . STM is synchronised with the master clock and help in the reduction of call drops. It Plays a very significant role in reduction of call drops. Protection path( in case of damaged fibre). The main problem in Stm was the use of excessie fibres (fibre exhaustion) to overcome this DWDM were introduced which has solved the fibre exhaust problem . Dense Wavelength Division and Multiplexing(DWDM) is the technology that puts data from different sources together on and optical fibre which is signal carrier at the same time on its own separate light wavelength. Using DWDM up to 80 or more levels of data can be Multiplexed each carrying 2.5GBPS THE Multiplexed output from DWDM has 200 gbps data rate. Then we moved to the Optical Fibre lab. 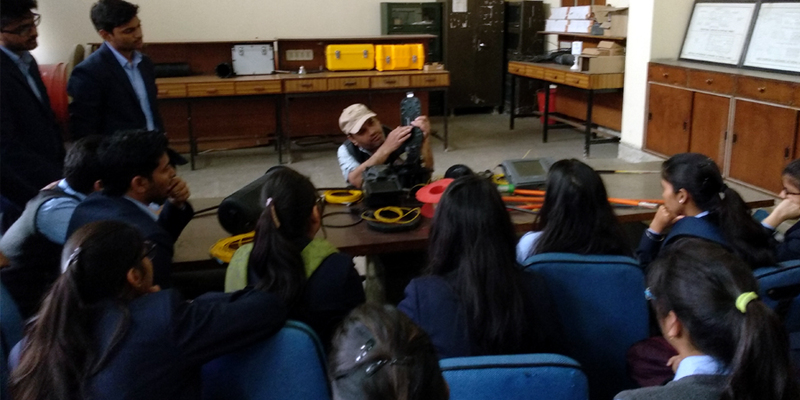 In the Optical fibre lab the students were introduced to different types of optical fibre.The instructor explained the structure and the basic principle of working of the optical fibre. The core has diameter about 8-10 micrometers ,covered by cladding having diameter about 125 micrometre and protected by the buffer having diameter 400 micrometre . An optical fiber cable, also known as fiber optic cable, is an assembly similar to an electrical cable, but containing one or more optical fibers that are used to carry light. The optical fiber elements are typically individually coated with plastic layers and contained in a protective tube suitable for the environment where the cable will be deployed. Different types of cable are used for different applications, for example long distance telecommunication, or providing a high-speed data connection between different parts of a building. In practical fibers, the cladding is usually coated with a layer of acrylate polymer or polyimide. This coating protects the fiber from damage but does not contribute to its optical waveguide properties. Individual coated fibers (or fibers formed into ribbons or bundles) then have a tough resin buffer layer or core tube(s) extruded around them to form the cable core. Several layers of protective sheathing, depending on the application, are added to form the cable. Rigid fiber assemblies sometimes put light-absorbing ("dark") glass between the fibers, to prevent light that leaks out of one fiber from entering another. This reduces cross-talk between the fibers, or reduces flare in fiber bundle imaging applications. There are two main types of material used for optical fibers: glass and plastic. They offer widely different characteristics and find uses in very different applications. Generally,plastic fiber is used for very short range and consumer applications, glass fiber is used for short/medium range (multi-mode) and long range (single-mode) telecommunications. The instructer told about the advantage of optical fibre over conventional copper wires(twisted pair).Copper wire can withstand maximum up to 1-2 MBPS data rate while optical fibre can transmit upto 100 gbps .It has a very high speed and large bandwidth. The most important advantage about optical fibres is that the information travels in form of light and our data can not be stolen . We were also introduced to optical fibre splicing machine which is used to join the optical fibres . After attending the labs we went for refreshment and then returned to our college by our college bus . It was a lot of fun while returning to college . 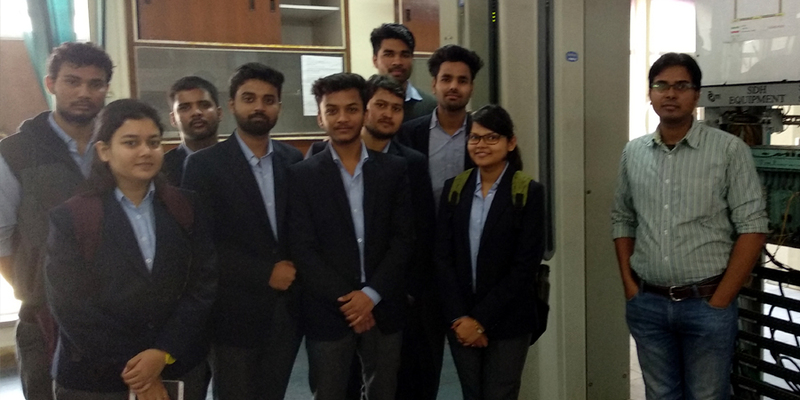 The visit was so much intresting and informative it hiked the intrest of many students to get trained in the field of telecommunication.